Sometimes the key to a beautiful smile is not centered around improving the teeth, but rather the gums. The absence or presence of gum tissue directly affects the perceived shape of your teeth and can affect the aesthetics of your overall smile. Gum lines that are uneven can give your smile an uneven or crooked appearance, while gum lines that extend too far down your teeth can result in what is known as a “gummy smile”. Both instances can negatively affect the aesthetics of your smile and be easily corrected through gum contouring. Gum contouring, also known as gingivectomy or gum reshaping, is a cosmetic dental procedure that either evens out uneven gum lines or removes excess gum tissue to eliminate “gummy smiles”. Gum contouring can actually help correct misaligned teeth, uneven lengths, uneven ridges, uneven grooves, gummy smiles, and inflamed or swollen gums. Am I a Candidate for Gum Contouring? You may be a candidate for gum contouring if you have a gummy smile or and uneven gum line. Gummy smiles occur when the gums extend too far down the surface of the teeth and an uneven gum line can give the illusion of an uneven smile. Gum contouring is an easy fix for these dental issues. What should I expect from the Gum Contouring procedure? The gum contouring procedure can easily be completed in-office at Morrison Dental Care. While you are under local anesthetic, Drs. Lewis and David Morrison will use a specialized laser to remove excess gum tissue and shape the remaining tissue accordingly. This specialized laser seals the wound as the gum tissue is scraped away, meaning there is no bleeding and no stitches. Will I need to follow any special instructions after the Gum Contouring procedure? Although the procedure itself should not be uncomfortable, you will experience sore and swollen gums in the days immediately following the procedure. Use a cold pack to reduce swelling in the hours after treatment, and consume only a soft diet for the first few days after the procedure. Be sure to keep the surgical site clean and schedule a time to return to Morrison Dental Care for a follow up appointment. 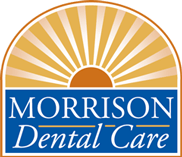 Morrison Dental Care serves the communities of Clifton Park, Halfmoon, Saratoga Springs, Troy, Waterford and Mechanicville. Call us at (518)371-3400 or for you convenience, you can use our online Request an Appointment form to arrange your consultation.